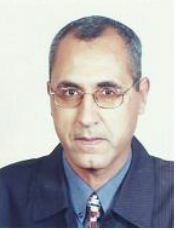 Hossam El-Din Mohamed Omar is a Professor (Animal Physiology), Dept. of Zoology, Faculty of Science, Assiut University, Egypt. Since 1993, he is teaching several course; Physiology, Immunology, Toxicology, Biochemistry for post-graduate students and several courses for under-graduate students; Physiology (1) & (2), Immunology, Animal venoms, Healthy feeding, Physiology of reproduction, and general Zoology for Faculty of agriculture, Pharmacy, and dentary. Reviewer of many international Scientific Journals. 1- Biosynthesis of prostaglandin from labeled polyunsaturated fatty acids as mediators of inflammation and cellular proliferation. 2-Bioactive compounds from natural source like venoms of snakes and scorpion, algae and its application in biology. 3- Drugs (cisplatin & cyclosporine) and pollutants (Nitrite, morpholine, Potassium Bromate, lithium, lead, acrylamide & mycotoxins) which induced adverse affects that mediated by oxidative stress in multiple organs. 4- Xenobiotics (estrradiol & endotoxins) biotransformation. 5- Applications of using antioxidants in ameliorating the oxidative stress that induced by some diseases like diabetes and hyperlipidemia that induced by high fat/high sucrose diet. 6- Prevention of diabetes complication by using antioxidants. 1. Nasser A.Y, Hassan K.A. and Omar H.M. (1988): Effect of prostaglandins B1, F1ï¡ and F2ï¡ on the thyroxine, triiodothyronine and calcium levels in albino rat serum. Assiut Journal of Agricultural Science, 19 (2): 43-56. 2. Nasser A.Y, Hassan K.A. and Omar H.M. (1988): Kinetics of accumulation of radioiodine in rats thyroid gland as affected by PGB1, F1ï¡ and F2ï¡ . Assiut Medical Journal, 12 (2): 1-17. 3. Sobh M.A., Al-Sawi N.M., Ahmad A. Abdel-Tawab, Abdel-Ghany A.M and Omar H.M. (1993): Evaluation of the role of growth hormone and insulin-like growth factor-1 in diabetic retionpathy. Egypt. J. of Biochem., 11:305-312. 4. Al-Sawi N.M., Sobh M.A., Ghazally M.H. and Omar H.M.(1994): Effect of diabetes control on growth hormone and somatomedin-c levels in young subjects with insulin-dependent diabetes mellitus. Arab. J. of Lab. Med., 20: 98-97. 5. Omar H.M.(1994): Effect of a bradykinin potentiating fraction from venom of the Egyptian cobra Naja haje haje on the lipid peroxidation of liver, kidney and testis of rats. Bull. Fac. Sci., Assiut Univ., 23 (1-E): 21-34. 6. Ahmad O.A.K.M., Omar H.M. and Al-Sawi N.M.(1995): Emesis gravidarium: a possible role of thyroid dysfunction, serum progesterone and serum zinc concentrations. Arab. J. of Lab. Med., 21: 227-235. 7. Omar H.M.(1996): Hepatic biotransformation of esteradiol valerate in male rats. J. Egypt. Ger. Soc. Zool. 21 (A): Comparative Physiology, 115-126. 8. Omar H.M., Sanders R.A. and Watkins J.B.III (1996): Assessment of the diabetogenic streptozotocin as a model for the study of oxidative stress in female rats. Bull. Fac. Sci., Assiut Univ., 25 (3-E) 31-42. 9. Omar H.M. and Hassan K.A. (1997): Endotoxin-induced liver injury is mediated by free radical production. J Egypt. Ger. Soc. Zool.23 (A): Comparative Physiology, 1-13. 10. Meki Abdel-Raheim M.A. and Omar H.M. (1997): Effect of garlic oil treatment as antioxidant on alloxan-induced diabetic rats. Bull. Egypt. Soc. Physiol., 17: 98-113. 11. Sharkawy A.A., Abd-Elghaffar S.Kh. and Omar H.M.(1999): Efficacy of 2,3-dimercaptopropanol (BAL) and 2,3-dimercapto-1-propane sulfonate (DMPS) on long-term mercuric chloride exposure in rats: Toxicological and pathological studies. The 15 th Annual Conference for the Egyptian Society of Toxicology 6-7 october, Alexandria University. 12. Omar H.M.(1999): Alterations in hepatic and biliary glutathione in the diabetic rats. Bull. Fac. Sci., Assiut University, 28 (2-E):103-111. 14. Sharkawy A.A., Abd-Elghaffar S.Kh. and Omar H.M. (2002): Efficacy of diethyldithiocarbmate (DDTC) and diethylenetriamine pentaacetic acid (DTPA) on long-term cadmium chloride toxicity in rats. J. Egypt. Soc. Toxicol., Special Issue, suppl. To Vol. 28: Proceedings of the 18 th Scientific Conference. 15. El-Sokkary G.H., Omar H.M., Hassanein A.M.M., Cuzzocera S. and Reiter R.J.(2002): Meltonin reduces oxidative damage and increases survival of mice infected with Schistosoma mansoni. Free Radical Biology and Medicine, 32: 319-332. 16. Hassan K.A., Omar H.M., Abd-Elghaffar S.Kh. and Abdel-Gabber E.A.A. (2002): Role of tannic acid as an antioxidant in reduction of the oxidative damage of aluminium chloride in the rat’s brain. Assiut Vet. Med. J., 48:100-115. 17. Zain A.El-Din and Omar H.M. (2003): Some antioxidants activities, lipid peroxide and nitric oxide levels in follicular fluid and its relation to oocyte quality in Buffalo-Cows. Assiut Vet. Med. J., 49:293-310. 18. Abd-Elnaeim M.M.M., Zain A.El-Din and Omar H.M. (2003): Some studies on the histo-morphological characteristics and biochemical changes of corpora lutea in buffaloes (Bos bubalis) during esterous cycle and eraly pregnancy. Assiut Vet. Med.J., 49: 44-72. 19. Megahed G.A., Anwar M.M. and Omar H.M. (2003): Coexistence of high levels of cortisol and oxidative stress as an indicator in retained placenta in Buffalo-Cows. Zag.Vet. J., 31: 131-140. 20. Megahed G.A., Anwar M.M. and Omar H.M. (2003): Possible role of oxidants/antioxidans imbalance on postpartum ovarian resumption in dairy cows. Egypt. J. Basic Appl. Physiol., 2: 243-261.